The first-ever meeting between 1. 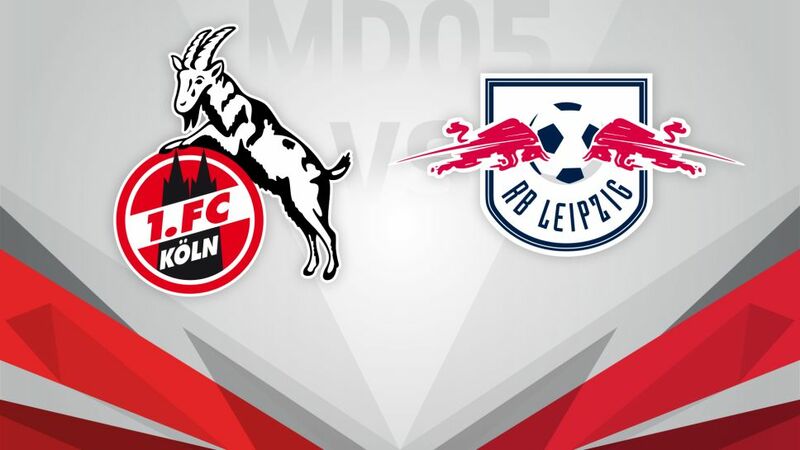 FC Köln and RB Leipzig sees two of this season’s unbeaten sides go head-to-head at the RheinEnergieSTADION on Sunday 25 (kick-off 17:30 CEST/15:30 GMT). The Billy Goats were top of the table for around 24 hours after winning on Friday night, and their impressive Matchday 4 victoryover FC Schalke 04 sees them second only to FC Bayern München. Peter Stöger’s side have conceded just once in the league this term, and are unbeaten in nine games stretching back into 2015/16. Leipzig have looked perfectly at home in the top flight in the early stages of their first time in the Bundesliga. Only a late equaliser from USMNT star Fabian Johnson that resulted in a 1-1 draw with Borussia Mönchengladbach on Wednesday has marginally dented the top-flight newcomers’ progress to date. This is the 890th different head-to-head in Bundesliga history.If he plays, Leipzig’s Timo Werner will become the youngest player to reach 100 Bundesliga appearances.Köln are enjoying their longest unbeaten run since autumn 1991.It is 27 years since Köln last had ten points on the board after four Bundesliga matches.Anthony Modeste has scored in 17 different matches for Köln since joining the club in summer 2015, garnering 37 points for the Rhineland club in the process.However, Stöger's men have won only two of the 21 matches in which the Frenchman did not score.